Rotorua is actually, not only a fascinating geothermal site. You can also learn here about the indigenous people of New Zealand, the Maori. There are many places that exhibit Maori history and culture; and while being in New Zealand, it’s a good idea to get some knowledge about their art or legends. video stupendo, grazie per averlo condivico! popolazioni affascinanti come la loro antica storia e la cultura! Glad you included the Maori people in your tour, a very important part of New Zealand’s history and culture. I find it very interesting experience to get to see and talk with Maori people. 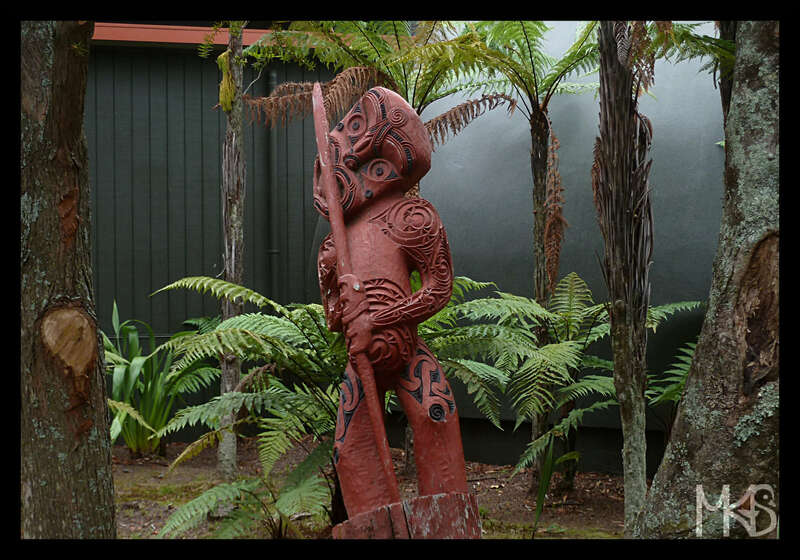 Did you stay overnight at Tamaki Maori village? 😀 Yes next time! How is the atmosphere there? Do you get the feeling that it is too much commercialized for the tourists or so? Or do you get an original feeling and experience? New Zealand is still in my plans. Hopefully very soon :-). Thanks for ideas. I love this statue. The Maori culture fascinates me… and I love the way New Zealand chose to respect, honor and highlight the Maori traditions, contrary to what Australia did to the Aborigines. This Maori experience is one of my best memories of New Zealand. Merci pour les intéressantes explications sur les Maori. Magnifique culture et tradition. Chyba dopiero po takiej wizycie ma się pełny obraz Nowej Zelandii.